A companywide, global HR implementation conducted in one single overnight deployment might sound like a scary prospect for some. But that’s exactly what Workday customer Rolls-Royce did in October 2015, when the business deployed a cloud-based HR system covering employees across 46 countries. We caught up with Mark Judd, HRIT director at Rolls-Royce, at the HR Tech World event in London last month to learn more about the move to the cloud and get his tips for other businesses looking at similar projects. What were the business and technology challenges that prompted Rolls-Royce to deploy a new HR system? Our ability to “see” the organization we are growing with a significant global footprint was inhibited by the underlying technology. We’re talking about things such as management of capability and deployment of the right resources, including the ability to deploy the right people when and where we need them. We had relied on a legacy system to manage HR records and payroll for employees in our five largest territories, which was about 85% of the workforce. Elsewhere we had a combination of smaller HR and payroll systems and a vast array of spreadsheets and PowerPoint files. As you can imagine, it was difficult for managers to generate an accurate picture of the workforce worldwide, or to produce reports on the skills and talents of our employees. You clearly did your homework—why did Workday come out on top? We looked for vendors that had conducted similar large-scale implementations and only three met that criteria: Workday, SuccessFactors, and Oracle. When we heard the response from the market, the enthusiasm and high level of excitement about Workday, it seemed right for us. Our project team decided at an early stage to work with a standard configuration of Workday Human Capital Management. The plan was to keep variations in different regions to a minimum. We liked the idea of going back to basics, and really challenging what we wanted to do with HR. 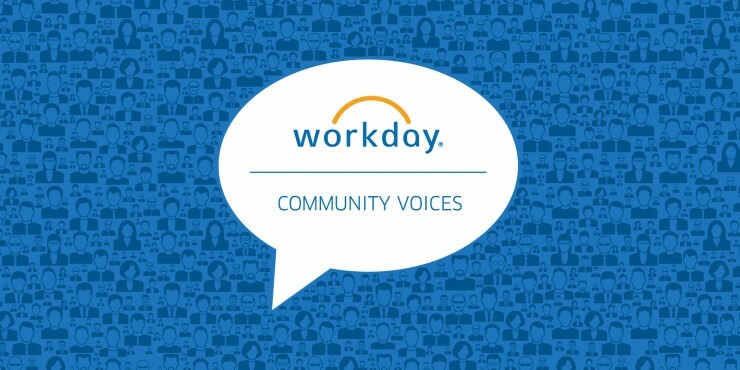 How important was the strength of the Workday community, including all customers being on the same version of Workday? It is a differentiator in the quality of the Workday concept. Workday doesn’t compromise on that. When we first looked at the options, we saw how other customers valued the quality of being at the same place at the same time. In all honesty, Workday didn’t sell to us, the other customers did. We valued the community and saw the empowerment of it. Do you have any advice on managing project stakeholders? Find a stakeholder who is respected and seen as a leader, and spend time earning his or her trust and support. We had a passionate business leader and someone everyone listens to. He is uncompromising in quality, and that’s what is expected of Rolls-Royce in the products we produce. We invested a lot of time with that stakeholder. Very early on, we went in front of lots of people and were told, “This new system needs to be as good, if not better than the European retailer John Lewis’s website.” So someone on the Workday team managed to track down the guy who developed the John Lewis website, interviewed him, and showed him the Workday application. He filmed the Web site developer saying Workday was “one of the most effective forms of technology he’d seen.” That went down very well with the business. What are your top tips for businesses looking to replace their aging HR systems? First, don’t sell the HR system—sell the right business idea. You have to think beyond the technology itself and sell the vision of what it will do for the business. Get it across to your business that you are buying an idea . . . you are buying something that is changing all the time. Next, acknowledge that you’re choosing a different path. This isn’t an upgrade, it’s a transformation. You’re not moving from your old typewriter to the latest and greatest typewriter. Think of it as moving from the best typewriter to the newest laptop. As such, think ahead and plan your integration strategy. Make sure the structure is there. Invest heavily in thinking of the big picture and how it will all work together. Then, standardize, harmonize, and galvanize. We had technology in place that was complex, difficult, and not agile to change. This caused trouble because there were different processes everywhere across the business. If you’re trying to get to a similar place that we were then you should follow a common set of principles, harmonize processes. Workday allowed us to do this and it was galvanizing for the organization.